Lovely card and I'm sure Roy loved it too. A gorgeous stylish card Sylvie, I love the images and fabulous embossing. 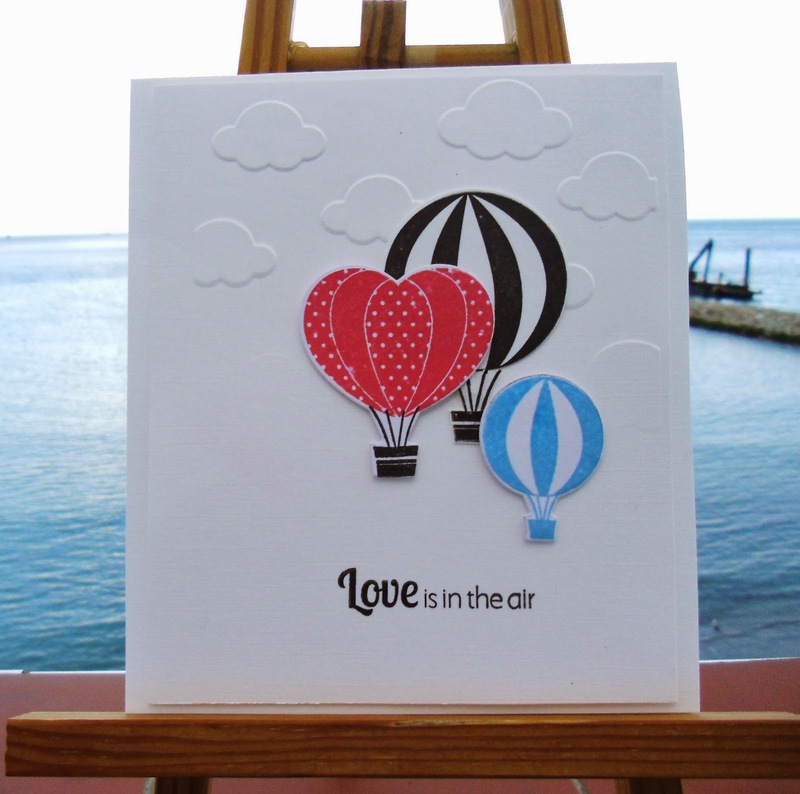 Great Valentines Day card with your darling design. What a fantastic card sylvie. Love it! VERY clever idea. Love this CAS card. Thanks for taking part in the Stamping Dragon Challenge . Your card is beautiful, very elegant. Thank you for joining us at SDD Challenge. Hi Sylvie, sorry behind ...again, busy with friends wedding cake, hope to be better blogger soon. Love the card, what a super idea for a Valentine card. Brilliant card, I love the red ballon forming a "heart"
Great card...I love the heart balloon, it's perfect for the occasion! Gorgeous card Sylvie, I'm sure Roy loved it. Have you any idea of the make of the embossing folder? All the ones I have looked at have far too many clouds on them but this one looks just right. This is absolutely stunning. Love those stamps and you've used them perfectly. Sylvie, your card looks fabulous...love it !! What a different and fabulous card! love it! Hi Sylvie, many thanks for the kind comment on my blog, it is appreciated. Fabulous card you've made there - so very stylish! How I love that heart shaped balloon! A wonderful love you card or Valentine! I love the balloons Sylvie, and the cloud EF works beautifully. A lovely CAS card.